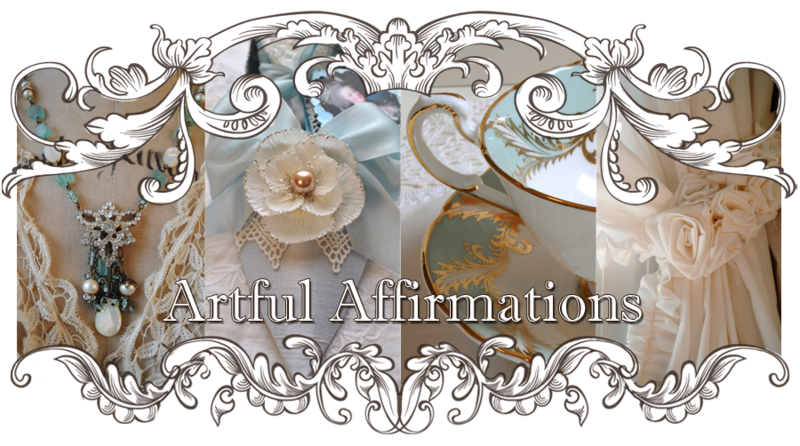 Artful Affirmations: Tea Cup Tuesday-December Giveway Cup and More! to desire a fireside tea, some twinkling lights and good company. To thank you all for your continued kindness! This cup today is one of my 4 prizes! What a sweet vintage cup! displaying her beauty up front and center! And the shades of moss green leaves are perfections..
a Staffordshire pottery in England. And by the end of the month she will belong to one of you! Or maybe one of these other prizes??? Bracelet by Sally Jean Alexander! If you haven't already sign up for a chance to win of of the prizes, you can leave a comment here. 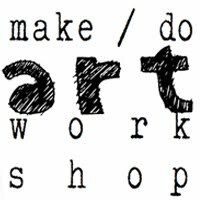 The free Mixed Media Domino Class at Creative Workshops is online, so anyone anywhere can take it. 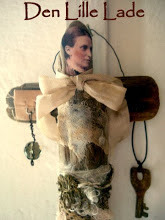 This "Peace on Earth" Domino book is one of my giveaways! We have been enjoying unseasonably warm weather here, but we are already in the spirit of Christmas. Our decorating is done, cookies made and exchanged. Most of our gifts are ready...feels good to be with family and friends. I am wishing you all a warm and joyful holiday season. Thank you for stopping by for tea today! she is the queen of tea cups! post below with Linky Tools. I love the pretty Mayfair cup and saucer, Terri. I am a follower. I would love to win your pretty teacup! Love the lush roses on it. And yes, I'm a follower. Have a delightful week, my friend. What wonderful prizes! The tea cup is beautiful and I really, really like the bracelet, too! I'd be thrilled to win any one of the prizes, though. Wishing you and your family happy holidays! How gorgeous the teacup is..thank you so much for the chance and the generous giveaway...I'll keep my fingers crossed to win!! Thank you for hosting and happy holiday season to you and yours. I'm not signing up but I AM commenting- gosh lady your photos are getting so nice - those flowers on that incredible tea cup are so crisp and clear it looks REAL in front of my eyes. Anyway, happy tea tuesday! Thanks for hosting! I love this design on your cup! I've the same on a mug bought in England, and recently I found on a catalog a porcelain electric kettle with the sames flowers! 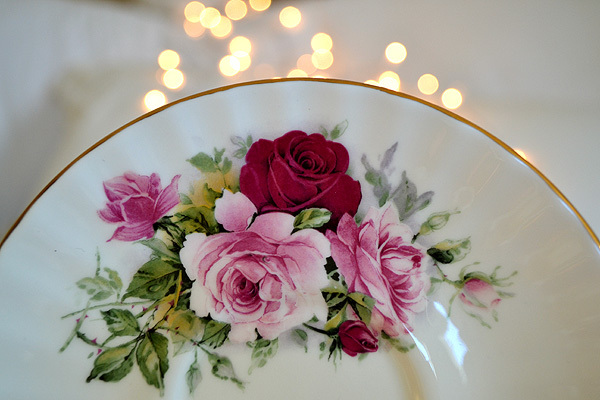 Love the teacup, it is so lovely with the pretty roses and of course roses just makes anything pretty. Pretty Tea Cup and the prizes are wonderful. I especially love the Peace Domino! I love anything Roses!!! I am one of your followers and I always like to see what beautiful tea cups and the like you show off...they are always so beautiful!!! What a beautiful cup . Your photos are so lovely. Have a great week. 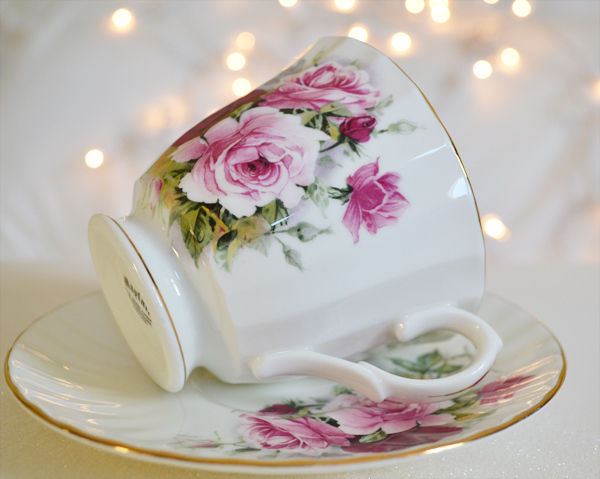 this Rose tea cup is so beautiful. Your super photos show the best of it. The shape is nice and the roses are so gorgeous. But the best of all is this "Peace on Earth" Domino book. Thats really a special artwork. Thank you for sharing and for hosting those wonderful giveaways. Have a blessed Christmas time. 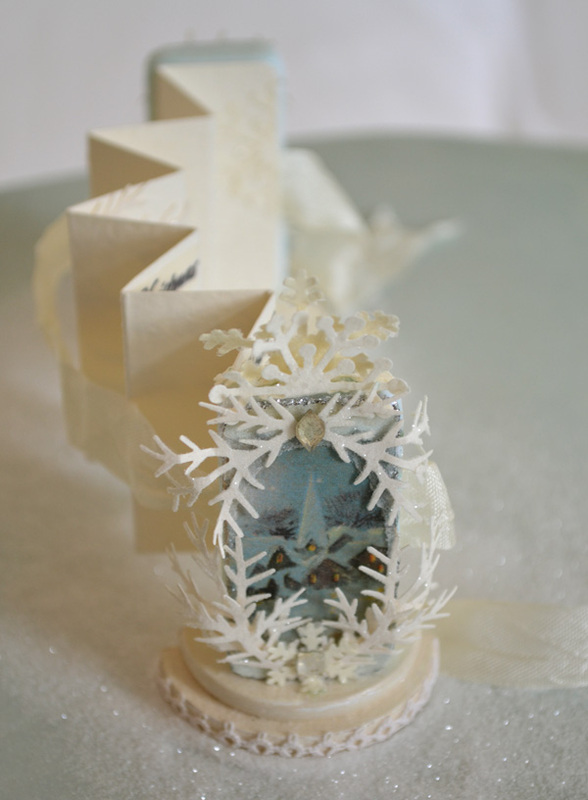 I love your wintery domino mini book! Getting pinned for sure! Am happy to participate in the give away! As a European, I don't get much of a chance to participate in give aways because of shipping costs. And that teacup is lovely. Love your photos by the way, your bokeh of the fairy lights is beautiful! The cup is lovely! I also love the bracelet! Nice Give-Away! Thank you so much for hosting your fun party! I think I signed up for your lovely drawing last week. Happy Holidays! Oh, how sweet of you! 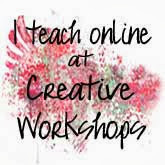 I'm a follower and love spending time on your blog! Happy holidays! Your teacup, is WONDERFUL, I love the roses ,-so beautiful in the colours,and the bracelet and your gorgeous "jewel" book are both so beautiful. the tea cup is so cute, a little fairy could live there. Won't you come to Hawaii to live with my fairies? The cup and saucer are beautiful. I am enjoying following your blog. Merry Christmas! What a sweet teacup with all those lovely roses. Please enter me in your giveaway. I would love to win any of the prizes offered. Thank you for your sweet comment and yes, I'd love, love to win that gorgeous cup..thank you so much for the chance! 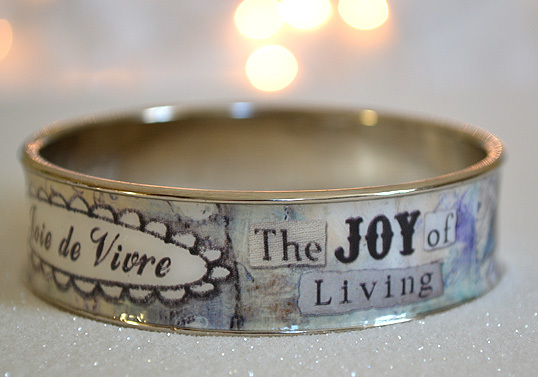 Loving the bracelet too, wow, such generous giveaway.I've been your follower forever, if it counts. Happy holidays lovely lady. Hi Terri. I am late this week...spending too much time at the drs. Oh well...hopefully better late than never! You have such lovely things to give away. Marvelous! 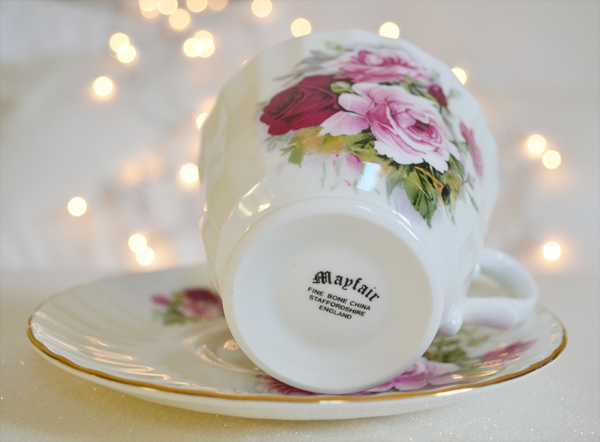 The Mayfair cup is exquisite! Love the beautiful rose pattern - of course I am a happy follower! Would be Delighted to win! What a beautiful blog you have! I love your Teacup Tuesday. That little dominoe book is so precious. Blessings! 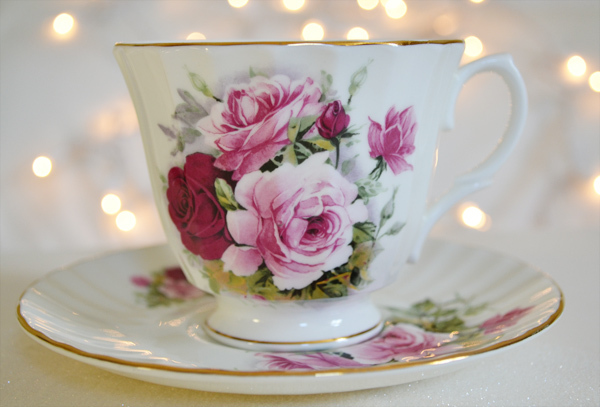 Beautiful teacup Terri, I love rose teacups and saucers, what wonderful giveaway too. 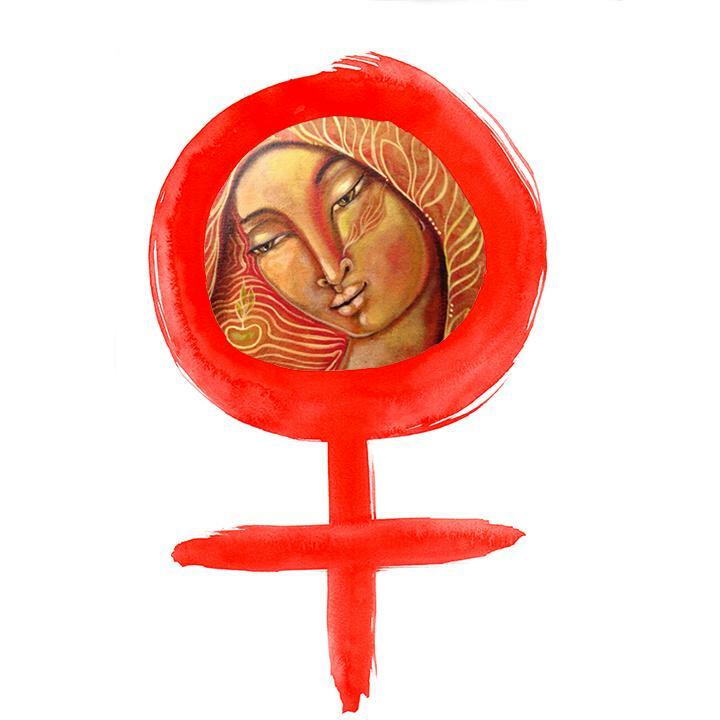 Thanks for stopping by my blog to say hello, and I am your newest follower now. 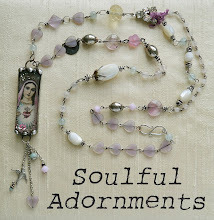 Thank you for your lovely comment on my blog, I love your prizes...I'm excited! 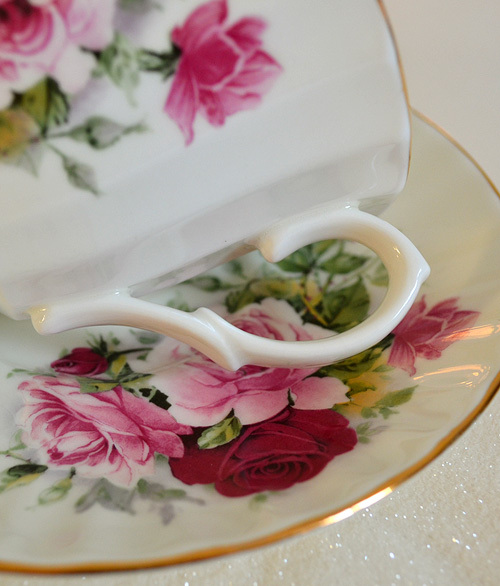 Gorgeous photos on your blog and love that tea cup. 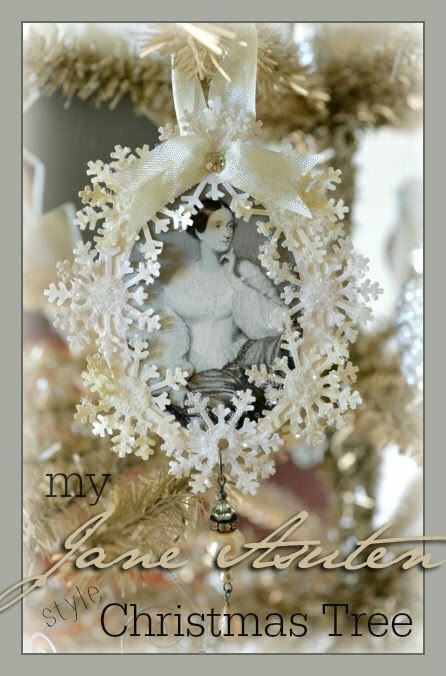 Oh I love all your gorgeous creations Terri! Love the little Christmas domino book. It's so cute! I am a follower too! Oh, I would just love to be on your Christmas list, Terri. Those tags are magical! Merry Christmas! I'm not a tea cup collector but seeing the ones you feature could make me change my mind! This is such a nice giveaway, and I'd be very happy if I won any of the prizes. Merry Christmas Terri! I just read your Christmas tea post and I must tell you, reading your blog is like drinking Chamomile tea~ so very relaxing and calming! Thank you for this and the chance to win such wonderful gifts! 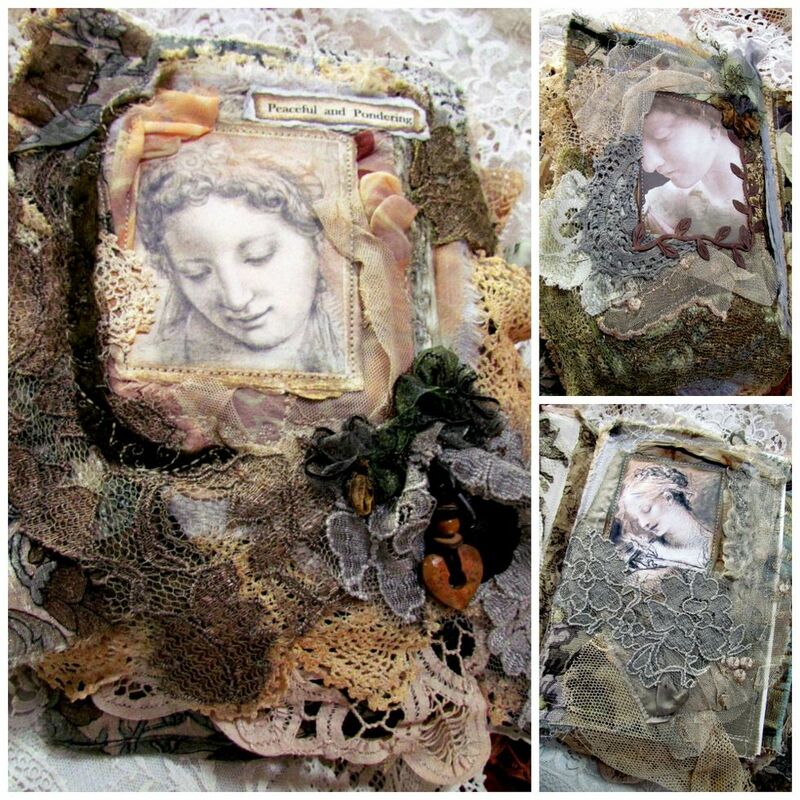 And I love, love, love the little-vintage picture frame you made~just precious! Merry Christmas and a Happy New Year! 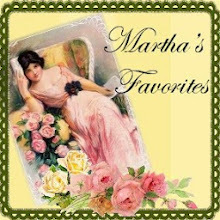 I love your blog and am a follower.....Tea Cup too pretty for words. 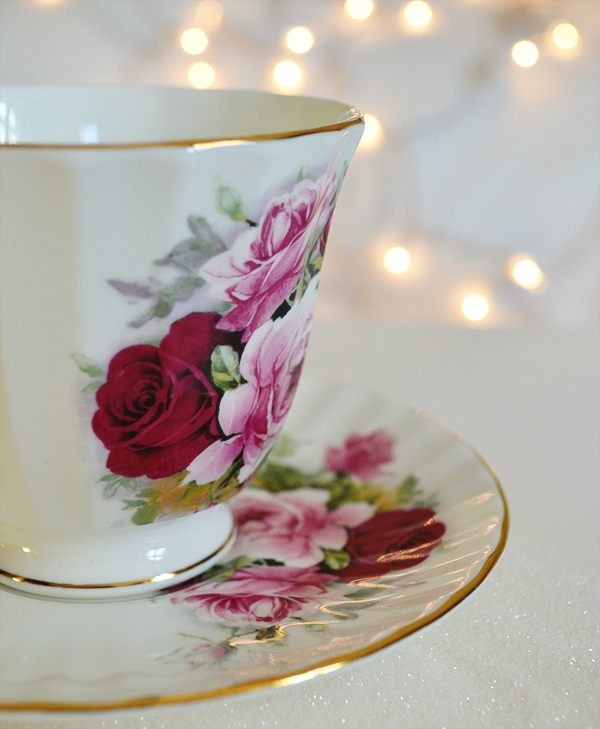 Love seeing all the beautiful tea cups you have on your site. Makes me wish I could sip a lovely cup of tea every day. Love your little domino book. I took the class and that is going to be my first "after Christmas" project. Love the beautiful teacup and saucer. I'm a pom so tea tastes much nicer in a beautiful cup. If it's not too late, please enter me into the draw for the pretty teacup. Happy New Year! You have the loveliest way of celebrating hospitality, Terri! and your generosity is a beautiful Christmas gift itself! Blessing your celebrations and new year with overflowing JoY ...!